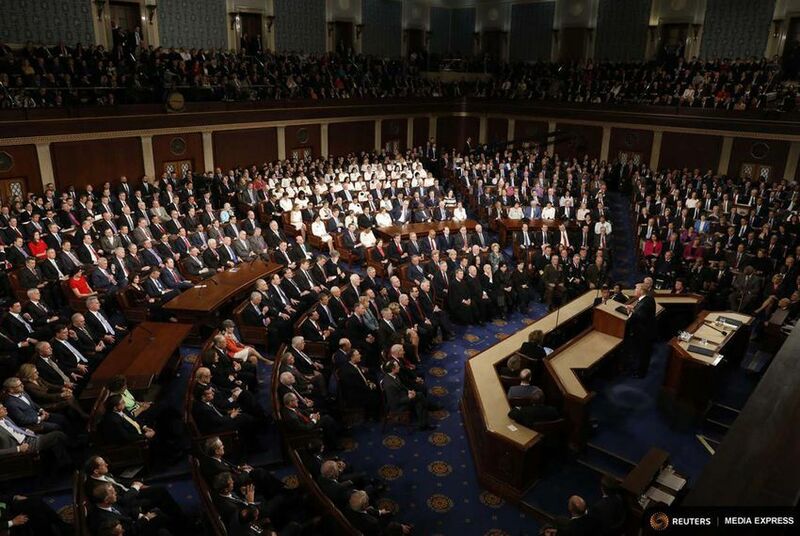 WASHINGTON – The U.S. House chamber erupted with cheers on Thursday afternoon as Republicans took their first major step to drastically change the country's tax code. The measure, which will lower the corporate tax rate and curtail some popular deductions, passed the chamber in a 227-205 vote. If the GOP succeeds here, it will mark a career capstone for U.S. House Ways and Means Chairman Kevin Brady, a Republican from The Woodlands who is overseeing the effort on the House side. Prior to the vote, Brady yielded his speaking time to House Speaker Paul Ryan, who thanked Brady for his work on the bill. The chamber's Republicans gave Brady a standing ovation. Members swarmed Brady as the voting began to shake his hand and congratulate him as the yea votes quickly outnumbered the nays. Ryan and Brady – once rivals for the Ways and Means chairmanship – hugged once the bill's passage became official. There was some suspense in the days leading up to the vote as to whether Ryan and his team could secure the votes. Some House Republicans in states with higher state taxes – like New York, New Jersey and California – objected to the scaling back of some local tax deductions. But there was little doubt about how the 36 Texans in the House would fall in the final tally. It was a party-line vote, with all of the state's Republicans backing the bill and all Democrats in opposition. If it were to become law, the bill would lower the corporate tax rate from 35 percent to 20 percent, reduce the number of tax brackets from seven to four and scale back of a number of deductions that could prove politically unpopular. Whether it will pass the U.S. Senate is an open question. The two chambers are on different tracks on the policy. Specifically, the Senate is considering introducing the elimination of the mandate to buy health insurance that was part of former President Obama's 2010 health care law in a move that would pull apart the current health care system. Previous attempts to repeal the law came up short in that chamber. Additionally, Key GOP senators are beginning to voice concern over the current policy under consideration. Republicans have a 52-seat majority and need at least 50 votes plus Vice President Mike Pence's tiebreaker vote to pass an overhaul. There is an urgency among Republican leadership to reconcile the two chambers' positions before Christmas. The GOP majority in the Senate could soon shrink. An Alabama U.S. Senate special election is spiraling out of control for the party amid allegations of sexual misconduct against the Republican nominee, Roy Moore. Republicans involved in the 2018 midterms say they are increasingly convinced that failure on a tax overhaul will result in a total electoral wipeout next fall. A day earlier in Austin, Pence touted the bill's importance to a meeting of Republican governors. "We're going to take a decisive step — before the end of this year ... to cut taxes across the board for working families and businesses," Pence said. Before the House vote Thursday, President Donald Trump traveled to the U.S. Capitol to meet with House Republicans just prior to the vote. U.S. Rep. Joe Barton, R-Ennis, emerged from the meeting calling it an "upbeat, brief talk." "He was very appreciative of what we've done," he said.